Using the super bulky lion brand homespun thick n quick, I have progressed way further than this pic shows. Of course, it having been taken on Sunday has something to do with it. I also finished my book. My little pumpkin went through what felt like a growth spurt Sunday and Monday- he was nursing like crazy all day Monday- so I had plenty of book time. 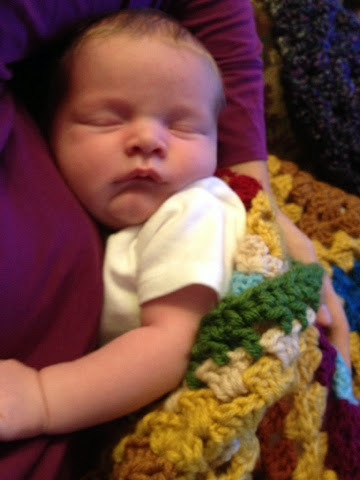 My crocheting progressed as well. 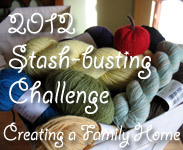 I'm working a giant granny with modified corners as a way to work through some of my Homespun stash. The yarn was purchased on clearance for craft show purposes, but I'm at a point where I want it used up more than I want to make more craft show stuff. The FO will likely become a Christmas gift for one of the sets of parents. 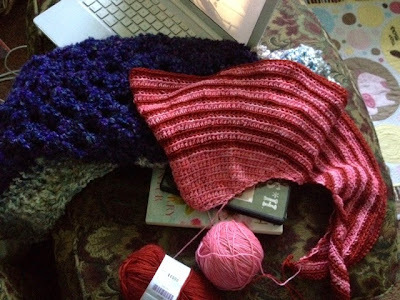 My shawl has made progress as well. I have about ten more rows before the border. 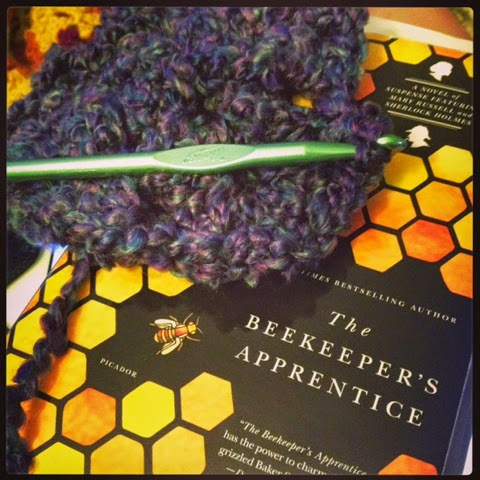 Since finishing The Beekeeper's Apprentice on Monday, I have been reading bits of different things. Nothing's really sticking, but I'm hoping to find something else soon. I'm getting a bit of 'cabin fever', being inside with a baby all day. We've been running errands and taking walks to ward off feelings of depression. 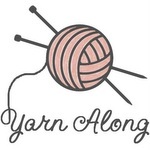 Stop by Ginny's for more Wednesday yarn goodness! Oh I adore the pink and red stripe! Very Pretty. nice knits! do you have a wrap that you can put your baby in? some of my Mother friends would just wrap their baby on them and go out; it may be a good thing for you too do; fight the depression feelings! God love you.